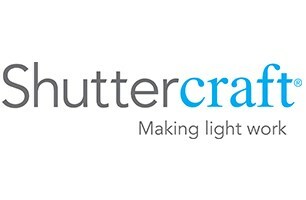 Shuttercraft Suffolk - Curtains/Blinds/Shutters based in Stratford St. Andrew, Suffolk. Here at Shuttercraft Suffolk, we offer our clients a full and professional service from start to finish. Firstly, when you call us you will generally speak to my wife Lyndsay (who has expert knowledge in all things shutters) who will talk you through what we can do for you and arrange for me to pop round to see you. I’ll come to your home and survey your windows in order to give you the best specific advice. This is important because an accurate survey will result in the most beautiful end result. I’ll then talk you through the numerous options available and provide you with more expert advice and recommendations, so you can make an informed decision before you buy. I’ll bring along a range of samples including panels, louvres, colour key rings and frame styles, so you can see what you would be buying before you place your order. I’ll review your unique requirements and needs, provide you with a competitive quote and inform you of my estimated delivery and installation times. When we come to the fit day it will be me again giving you continuity throughout the whole process. We don’t believe in pressured selling techniques, firstly we don't know any, and secondly shutters are an investment and we never want any of our customers to be less than sure about their purchase. We will quite happily answer any questions you may have whether you know nothing or a lot about shutters and are quite happy to give you an estimate over the phone if you can provide us with some approximate measurements.